Adult social groups gather monthly for anything from rock climbing to theater outings and canoe trips to Super Bowl parties. They are loosely based on age or life stages (with kids, without kids, retired, just starting out), but each group is open to all. Check Upcoming Events to find out when and where to show up for the next good time. The Young Adults are our newest and youngest social group, formed in 2014. After gathering for a series of bible study evenings at our pastor’s home, they started branching out into more social activities, including monthly post-church Sunday brunches. Charity McDonald is their contact person. The Back Row formed spontaneously among college students and young adults who liked to slip into the very last rows just before (or after) worship started on Sundays. Some regulars are now married, a few have new babies, but they maintain their commitment to fun social activities on a very laid back, semi-regular schedule. Jason and Christina Hidek usually know what’s happening next. Pacesetters began as a bunch of Baby Boomers who liked to party. Their events are fun for all ages with most regulars in their 50s. 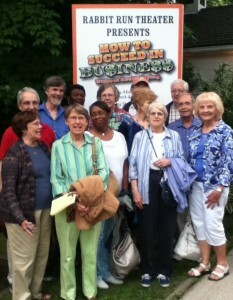 Pacesetters includes a mix of long-time and brand-new members, singles and couples, folks with kids and empty-nesters. Sue or Scott Lafferty are your best bets for information. The Group includes mostly retired singles and couples with a nice mix of new and seasoned members. They love to eat, help others, share adventures, and enjoy music, wine and fun. The Group meets the second Saturday of the month unless it’s a Super Bowl party, a musical performance or baseball game. Cathy Ghiandoni is their contact person. Hilltoppers are Forest Hill’s longest running fellowship group. Many members first met as newly married couples at Forest Hill in the 1950’s and are still going strong today. The Hilltoppers meet once a month, usually during the day, and enjoy a wide range of educational and social activities as well as occasional day trips. For more information about these groups, email the church or call 216-321-2660 to find out when, where and what is happening next.